Allergies in Children can cause great discomfort and may even in severe cases, be life-threatening. Find out the causes and how to manage allergies in your child. Watch this Ted.com video by Rishi Manchanda: What makes us get sick? Look upstream. Rishi Manchanda has worked as a doctor in South Central Los Angeles for a decade, where he’s come to realize: His job isn’t just about treating a patient’s symptoms, but about getting to the root cause of what is making them ill—the “upstream" factors like a poor diet, a stressful job, a lack of fresh air. It’s a powerful call for doctors to pay attention to a patient's life outside the exam room. Mild allergies are very common in babies and children. They are sensitive reactions that occur when the body's immune system reacts in any unusual way to foods, airborne dust, animal hair and pollens.These can result in hay fever, eczema, hives and bowel problems. They usually disappear as the child grows older, although some do continue into adult life. Allergies are not infectious. Digestive system (includes stomach and intestines): nausea, vomiting and spitting up of food, colicky behaviour in young babies, stomach pain, diarrhoea, poor appetite. slow weight gain. Respiratory system (includes nose, throat and lungs): runny nose, sneezing, wheezing, asthma, recurring attacks of bronchitis, persistent cough. Skin: eczema, hives, other rashes. Common causes of allergic reaction are food and airborne irritants. Soaps and detergents can aggravate some skin conditions. Foods that commonly cause allergic reactions : milk and other dairy products, eggs, peanut butter; sometimes oranges, soya beans, chocolate, tomatoes, fish, beef and wheat. Food additives such as colourings, flavourings and preservatives may also cause an allergy. Airborne particles linked with allergic reactions include dust mites, pollens, animal hair and moulds. The allergic reaction to dairy products has almost the same symptoms (stomach pain and diarrhoea) as those that occur when a child has lactose intolerance (the inability to digest the sugar, lactose in dairy products). Get a correct diagnosis from your family doctor. Children from families that have a tendency to allergy have a greater chance of becoming allergic. However, anyone can become allergic. Feeding - Breastfeeding of allergy-prone babies for at least the first 6 months might diminish eczema and other allergic disorders during infancy. I read that eating yogurt while you were pregnant might decrease the chance of allergies in babies. Though there was no conclusive research to back that claim, it was no trouble to down a yogurt every other day, so that's what I did to be on the safe side as my hubby's family had a history of bad skin allergies. My children had very sensitive skin before 1 year and allergic rhinitis, but they soon outgrew the conditions. Introducing Solids - If possible, it is best to start solids only when the baby is 5 or 6 months old. Start one food at a time in small amounts. The quantity can be increased the next day when there is no reaction. New food should be introduced at least several days apart.. Care should be taken when introducing foods that most commonly cause allergic reactions such as dairy products, eggs, citrus fruits and peanut butter. They should be avoided until after the first year. If possible, always prepare the baby's food using fresh ingredients. Since the baby eats such small quantities, I tried to purchase organic produce where possible. Remember to read labels carefully to check ingredients in products. Many babies and children develop allergies to house dust and animal hair. Vacuuming regularly and keeping pets outside will reduce the problem. Bedding should be aired and aircons cleaned regularly. Damp and poorly ventilated homes are subject to mould, which may also cause allergy. Cotton clothing is best for babies and children with skin problems. Avoid strong soaps, detergents and nappy wash solutions. Bath oils or body cleansers for sensitive skin are ideal for eczema skin conditions. 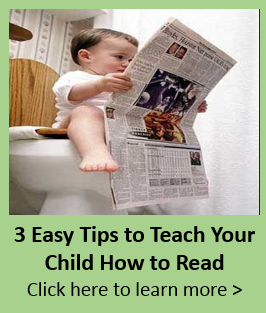 Do not use overly warm water to bathe the baby as hot water is drying to the skin. Moisturize baby's skin after bathing. Boil baby's bottles rather than use chemical solutions. Avoid using household chemicals such as fly sprays or insecticides, perfumes and disinfectants. Air the house thoroughly after use. Do not smoke or allow others to smoke when your baby is in the room (Duh!). I found that the sun and swimming helped in no small way to alleviate my children's skin problems and allergic rhinitis (runny nose in the morning). Your child might have a strong reaction to mosquito or other insect bites, with the lumps becoming giant-sized. 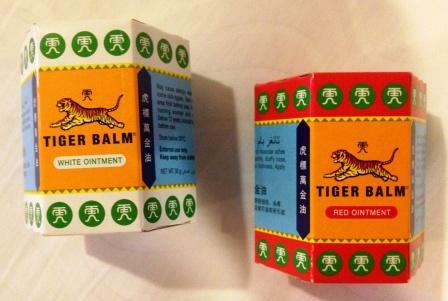 I found the white Tiger balm ointment very effective. It reduced the size of the bumps and the smell also keeps other mosquitos away. Beware that tropical mosquitos might also carry the Dengue fever germs. Tiger Balm ointment is extremely popular in Asian countries for all manner of ills. I found this a cheap way to reduce the size of my daughter's mosquito bites (Some of her bites on her face made her appear as if she had been punched). The ointment has a pungent medicated smell. The ointment can also be used to treat aches and pains, as well as a stuffed nose. It is readily available in any supermarket or convenience store. The other extremely popular ointment used is Zam-Buk. Can you believe that a dermatologist I saw actually suggested this for my daughter's mozzie bites? No fancy medicine from him!